The vast majority of individuals with substance use disorders experience relationship problems as the result of their drinking or use of other drugs. We spoke with Monica Powers, Psy.D., director of clinical development at Sovereign Health of Los Angeles regarding some of the common relationship issues that arise during the treatment of substance use disorders and how individuals can go about repairing their damaged relationships in treatment and recovery. Q: We sometimes hear people say things like, “that person will drive me to drink!” Do unhealthy relationships contribute to substance use, or is it the other way around? I believe that relationships are circular, but generally poor-functioning people will turn to alcohol first. For example, people may make the statement, “you drive me to drink,” or in the course of the day say, “I need a drink,” but in some instances, it’s referring more to the need to cope versus the actual coping process. It speaks to what people think is a positive coping mechanism to refer to drinking, but the question comes up: Does the person actually drink? The examples above refer to poor coping strategies that could be explored. In instances where the perception is that someone is driving another toward alcohol use, first, it is important to note that behavior and accountability cannot lie with someone else. A person who feels the need to drink has coping strategies that are less than ideal. Every day, we encounter difficult people and have to learn strategies to deal with everyday stresses in life. Q: What about the death of a loved one or a breakup? Can excessive grief over the loss of a loved one lead to substance abuse? This question can be answered in the same way. This goes to the core of coping skills. In both instances, the emotional toll can be devastating. However, this is still not a reason to fall into a bottle. Many times people will increase their substance use in the face of a loss, but it is not healthy coping, and other options should be explored in instances where people need additional support. Loss of any sort can lead to increased use, but people who are looking for a reason, also usually find one. Q: How can people go about repairing their relationships once they stop drinking or using drugs? Acknowledging the problem is the first step. Most people who have lived with someone with substance abuse want to have their struggle acknowledged first and foremost, and then to see change that is often talked about. Action is what generally promotes repair. If a person tells their loved one that they are seeing their problem and looking to repair, the loved one must also see that change is happening, because action in this case does speak louder than words. Other suggestions would be to attend meeting together, consider family therapy and look to support one another in the journey of recovery. There will be tough times, and everyone should consider the effects of both the use and the sobriety. Q: In 12-step meetings, people in recovery are often told that they should avoid intimate relationships during their first year of sobriety. Why do you think people are told to wait for a year before becoming involved in an intimate relationship? When a person is in the first instances of recovery, they are uncovering the reasons why the use often occurred. If thinking about substance abuse from a mental health perspective, there is generally always underlying issues that require review, acceptance and processing, by way of working in a therapeutic relationship, with a sponsor or even personal internal work. This is not the time to introduce another person to that fray, especially if they are also in early recovery. Early recovery should be a time when a lot of personal work is done. It would be irresponsible for someone who is in early recovery to begin a relationship because their foundation is not solid. If the feelings are there, waiting a period of time to improve personally should be a positive step. A person in recovery needs to learn to love themselves before making attempts to love others. They should focus on current relationships that might be troubled before introducing new ones. They need to learn to crawl before they can walk. Q: For people who do begin a relationship while they are early in recovery, what is some advice that you could offer them. Sometimes, relationships cannot be repaired, while other times they are unhealthy or even harmful to a person’s recovery. In such cases, the best thing that the person can do is let go of the relationship. How does a person decide? All action needs to begin with some personal reflection and assistance. If a person insists on being in a relationship, starting in counseling with that person is not an unreasonable request. The circumstances can sometimes be different if a relationship already exists. Both parties need to have support both together and separate from one another, set good and strong boundaries, agree on what issues/items are off limits regarding arguing and have personal time of reflection. There are some relationships that can be irreparable, too much has happened, too many things have been said or done, or it is intrinsically unhealthy for the newly recovered person. Any time one person has changed, you will find others have to change as well. Everyone has to make their own decisions about when to let go of a relationship but a few good questions to pose are: Is this person supportive of my recovery? Do they endanger my recovery? What aspects of this relationship are positive versus negative? If I left the relationship, what do I imagine moving forward? Those would be helpful in making a more thought-out decision. I would also encourage no rash actions in new recovery unless it is a personal danger. These are not times to make big life decisions; perhaps taking a break to work things through first is the more logical decision. Monica Powers, Psy.D., earned her doctorate in applied clinical psychology at the Chicago School of Professional Psychology. She holds a master’s degree in marriage and family therapy from the University of Phoenix. Her internship was completed at the Los Angeles County Department of Mental Health, where she ran the Healthy Way LA program, which provides mental health services to underserved populations in Los Angeles County. Dr. 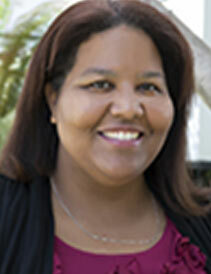 Powers continued her post-doctoral work at Sovereign Health’s Los Angeles facility. Under Dr. Powers’ guidance, the Sovereign Health Los Angeles facility has grown to meet the challenges of a vast metropolitan area. For more information and inquiries about this article, contact Sovereign Health’s newsroom at news@sovhealth.com. Relationships are complex and some can even be abusive. See how you do as you navigate through these three scenarios. Your spouse makes a statement about gun control that runs contrary to yours and poses a rhetorical question at the end. Your spouse knows your stance on this issue and you’ve fought numerous times in the past about it. What do you do? You find your spouse has been withdrawing large sums of money from the checking account. Your spouse also is constantly agitated, easily angered, and has red dots on his or her arms. What do you do? Your boyfriend/girlfriend just told you that he or she has been having suicidal thoughts and has been feeling depressed for the last few months. Your significant other is scared and wants desperately for someone to help. You’ve been thinking about breaking off the relationship for a few weeks due to other factors. What do you? They require empathy as well as respect for yourself and your spouse. These situational examples were meant to give you a glimpse of very possible scenarios in case you ever find yourself in one. If you ever need help or know someone who needs it, please download a free copy of our toolkit “Relationships in Recovery” here. Sovereign Health is on the forefront of drug and mental health treatment. Using evidence-based, scientifically backed treatment methods, we make sure that our patients are given the best possible care so that they may return to their lives once more. Relationships are a complex but very important part of recovery. Understanding what is healthy and what is not may not only protect you but your loved one who is going through this difficult time. Please reach out to us with any questions you might have at news@sovhealth.com.